I am excited to once again highlight a recent title shared in my classroom and how we structured our read aloud experience. I am trying to share more of how these nonfiction books come alive in the classroom with kids! 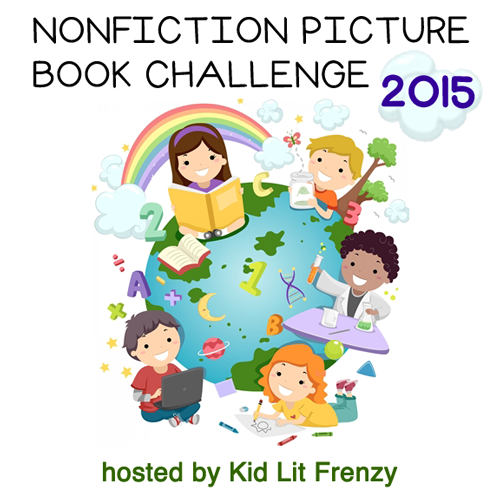 The #nfpb2015 challenge is a great way to learn more about what nonfiction titles others are reading. This title shares with the reader how a butterfly farm in Costa Rica prepares butterfly pupae for the journey to various museums and science centers in the north. It answers questions about how the farm functions, the connection to the rain forest habitat and how pupae are prepared for the long journey. Can you imagine getting a package of butterfly pupae in the mail? There is a detailed glossary at the back of the book and we appreciated the helpful hints provided about visiting a live butterfly exhibit. Many students in my classroom have been to the Vancouver Aquarium on a field trip with our school and had the opportunity to visit an area with live butterflies fluttering about. So this book had particular meaning. 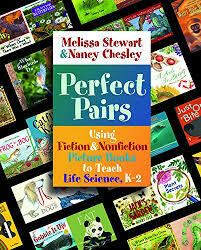 Note: I am currently reading Perfect Pairs: Using Fiction and Nonfiction Picture Books to Teach Life Science , K-2 by Melissa Stewart and Nancy Chesley I have been inspired by the way many lessons begin with a Wonder Statement and include writing, responding and drawing in a Wonder Journal. We already have a Wonder book that we write in regularly but I am trying to use it more often with our nonfiction read alouds. Students discussed this statement in Turn and Talk partners and then had an opportunity to share out. They then wrote about their thinking in their wonder notebooks. How do they know they won’t transform into butterflies before they get there? How do you touch the pupa without harming it? Where do they get all of the pupae? Are some of them damaged from the travel? How much does it cost to order them? How do they know about how to make a home for them when they arrive? We continued reading throughout the day and by the afternoon, students were ready to summarize their learning about the important jobs of the butterfly farm workers in Costa Rica. So much learning in this book. Lots of discussion. Big questions and connections. I love that it allowed students to explore a question that they had never really considered. One of our bookshelves is now full of butterfly books and students are busy learning more about butterflies during independent reading. 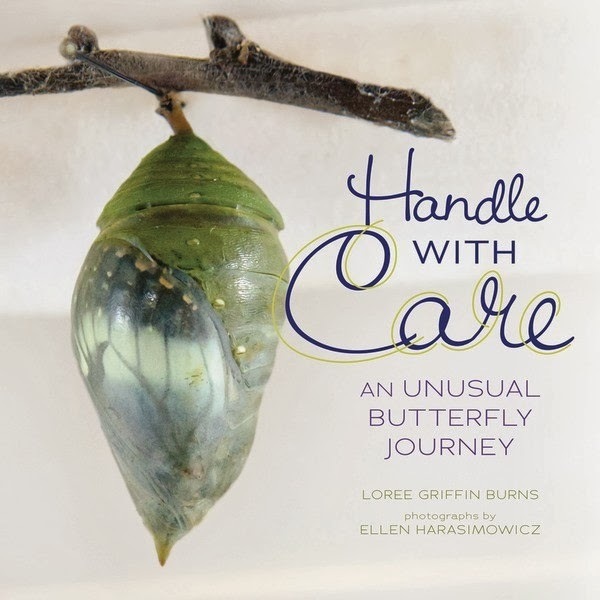 This entry was posted in Non-fiction, Nonfiction Picture Book Wednesday and tagged #NFPB2015, butterflies, Ellen Harasimowicz, Loree Griffin Burns, Melissa Stewart, Nancy Chesley, nonfiction, wonder journals by carriegelson. Bookmark the permalink. Great post! I love HANDLE WITH CARE, so it’s neat to see how it’s being used in the classroom. And, now I can’t wait to read PERFECT PAIRS. Thanks! Perfect Pairs is a rich rich resource – with so many great ideas. I haven’t tried any of the lessons yet as I am still reading but wow, the inspiration just from thinking about how the lessons are structured. And, Handle with Care – well! What a powerful book in the classroom. My students were absolutely captivated. I love the Wonder Statement idea. It’s so cool to find a book that inspires you and makes you want to try all the ideas. Love the butterfly book! Our kindergarten’s have raised butterflies before and would really enjoy this process. Many of our students raised butterflies in earlier grades so they were keen to share their background knowledge! I shared this post already with several people. Love how you used the book with students. Wow, thanks Alyson! We really enjoyed it. Perfect Pairs is a great resource. Even though it is for K-2 learners – I find many ideas can be adapted for various levels. And yes, one of my favourite titles too! I love the idea of Perfect Pairs, & sad that it’s for the younger students. I’ll have to find a way to make my own ‘perfect pairs’ for older students! Handle With Care looks beautiful, and I loved reading your students’ takeaways from it. Thanks Linda. It is a fascinating title. I love both of these books! We used Handle With Care in 1st gr last year during their life cycles unit. It’s a gorgeous book! I’ve been looking through Melissa’s new book and I’m so impressed. I love the organization and the tie in with reading, writing and science. Also love the inquiry approach. Such a gorgeous book. Yes, Perfect Pairs is really special.